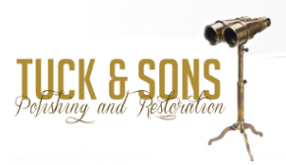 For Years we have been polishing and restoring wartime binoculars and now we are pleased to be selling them as part of our services and website. Please look below for all the items we have in stock at the moment and please contact us via email or phone if you are interested. We can supply binoculars on either wooden or polished aluminium tripod. Polished on a wooden tripod and aluminium mount with spreaders. Polished on a aluminium tripod with mount with spreaders. Polsihed on a Original mount and Polished aluminium tripod. Polished on a wooden tripod with mount and spreaders.